The Apatanis. The first image, if not a question mark, that conjures up in our mind is that of wrinkled old women with facial tattoos and nose plugs, just like in the picture on your left, smiling away. But I have more to share. 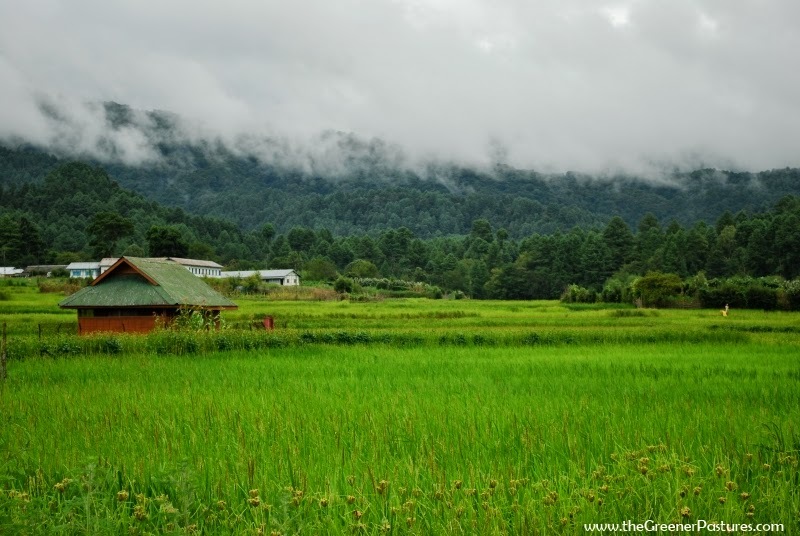 About the Apatanis and about the gorgeous valley of Ziro tucked away in the Lower Subansiri district of Arunachal Pradesh. Somewhat off the popular tourist path of Tawang, this little valley and its people have much to offerto those seeking beautiful unexplored regions in our country and a culture to learn much from. Ziro is home to the tribal group called the Apatanis who are one amongst very few tribes in the world who worship nature (sun & moon) . They are famous for their unique methods of sustainable farming and social forestry. Apatani Cultural Landscape even features in tentative list of UNESCO World Heritage Site for "extremely high productivity" and "unique" way of preserving ecology. I had an opportunity to stay with one such Apatani family in Hong Basti (village) of Ziro and get a glimpse of their lives & surroundings. The Apatanis are primarily into farming. They are famous for the sustainable and efficient methods that they have been following to cultivate rice. 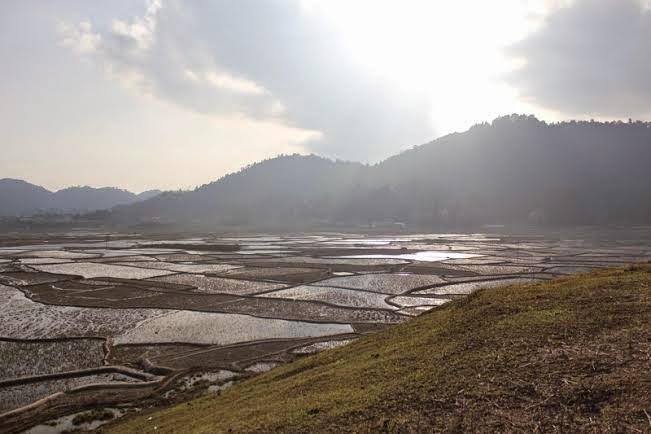 The farm lands are built on flat lands and therefore wet rice cultivation is followed along with fish culture. Even the elevated partition bunds between rice plots is utilised to grow millets. Their farms are uniquely marked with efficient channels and canals for irrigation purpose. There are no farm animals or machines used, instead the focus is on using nature friendly and sustainable methods only. They have also successfully been able to conserve the forests around the valley which serves as water sheds for streamlets flowing down to the fields thereby helping them in the irrigation system. There is so much to learn from them on how they have used traditional methods to attain what the modern machines & systems are unable to. 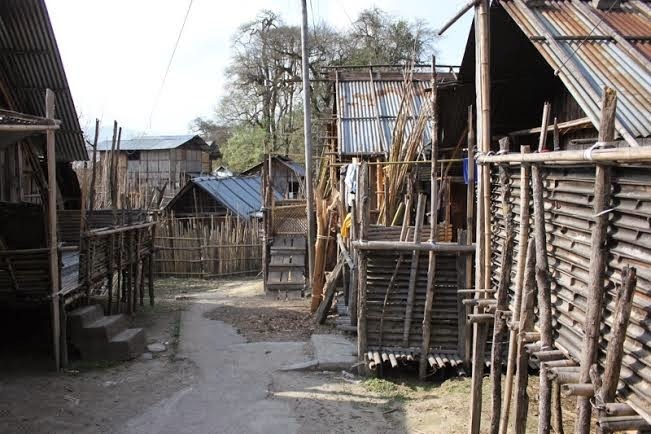 They live in very simple bamboo huts perched on top of vertical wooden stilts and forming dense settlements called Bastis. Almost all houses in Hong Basti were traditional, but a little walk into other villages like Hari & Siiro will show signs of more permanent, brick & mortar like structures coming up. In spite of this, these simple yet just adequately furnished houses are one of the examples which forced me to rethink on our consumerist approach towards living. 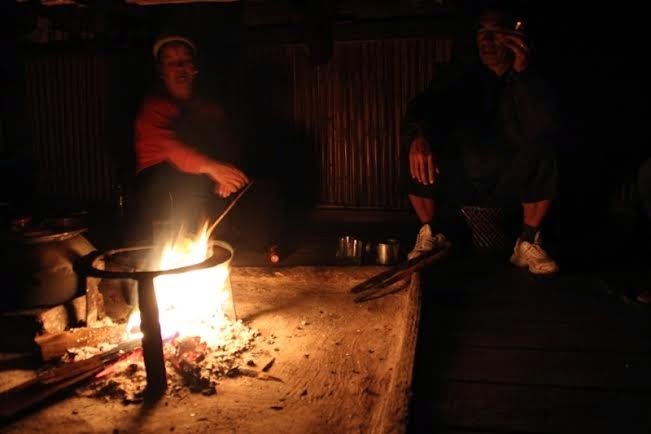 The centre of the house, not only serves as a kitchen where food is cooked over wood fire, but also as a gathering point to talk and discuss matters. Fire is lit right in the centre, around which family members and visitors sit to chat and spend time with each other. A usual day in a Ziro village can begin as early as 5:00 am when all the adults, after finishing their morning chores, leave for their farm lands and children to school. Whole village seems to come to halt in late morning hours till evening with just a few women engaged in weaving traditional clothes, if not going to the fields. Being on the eastern side of the country, sun sets at about 4:30 pm depending upon the time of the year. As a result, all the evening activities are rolled around 4-5 pm which is also the time for everyone to be back in their homes, take a stroll, meet neighbours and friends and for children to play in open spaces around the village. Every evening after sunset our hosts received their neighbours and relatives who would mostly just stop by to say hello, and they all will be served the traditional homemade rice beer with special Apatani salt called Tapyo. 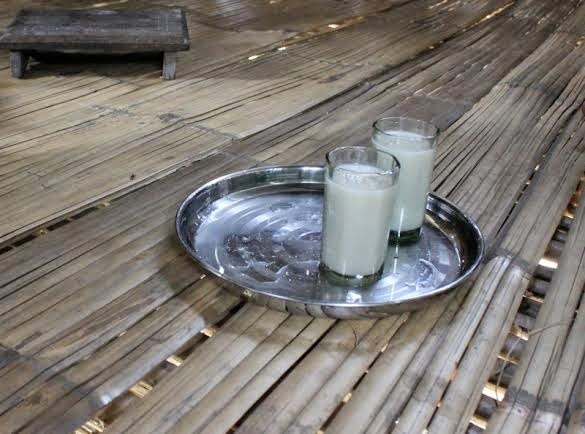 Traditionally Tapyo is made at home using ashes of certain indigenous plants, which to a large extent is also responsible for saving Apatanis from problem of goitre, otherwise a great concern in other nearby tribes. Now, of course with the easy accessibility of Iodised salt, this problem has been tackled by all. Drinking freshly made rice beer is more of a social activity and along with it comes discussions and insight into lives of the Apatanis. During those evening sessions, topics discussed were as varied as environmental conservation & politics to trend of love marriage & music. 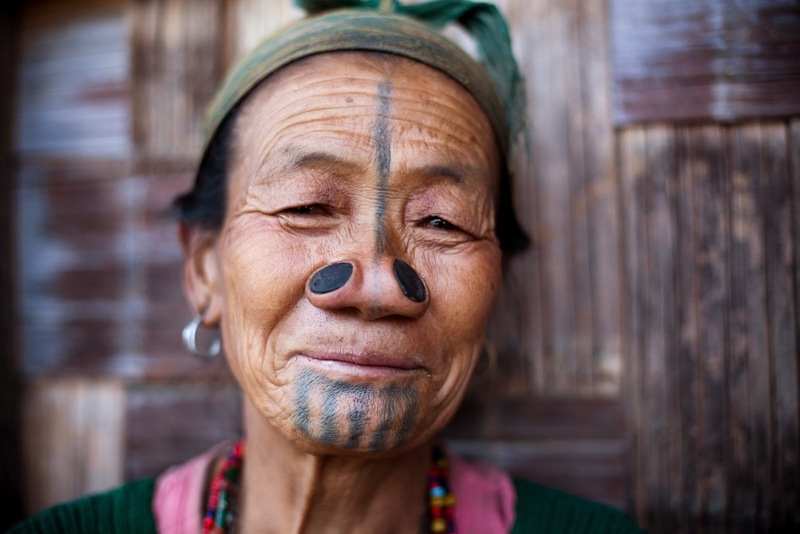 One of the unique features of Apatanis, as already mentioned earlier, and probably most photographed by tourists is the women with facial tattoos and nose plugs. There is no documented reason as to why the tradition started, but we notice that this tradition is no longer followed in younger generation. Even many of the women from older generation have opted to take off their nose plugs. Food in a traditional Apatani home revolves around rice for obvious reasons. Rice is often accompanied with boiled vegetables, meat preparation or other delicacies cooked in bamboo shoot. There are hardly any spices used in traditional Apatani food, hence the green chili which accompanies every single meal. Fortunately my travel coincided with Myoko festival in the month of March. Its a month long festival of friendships and merry making, starting somewhere around 20th March every year and going on for one whole month. A couple of villages get together every year (on rotation) to host this festival. The unique feature of this festival is that homes of host villages are open 24x7 for guests throughout the month. Just about anybody can walk in, greet and enjoy rice beer and local delicacies ! The meat is hung out in one's home, from which a visitor can cut out a piece for himself/herself, roast it over fire in the centre of the house and enjoy it. (I was satisfied with only a picture.) Apart from feasting, there are lots of sports events, singing competitions, stage shows etc. With all the goodness & simplicity of Ziro and its people, there certainly are some problems too. Infrastructural facilities like decent roads, drainage system are missing. Employment opportunity is only available in government sector which of course has limited seats due to which young generation is increasingly moving out to neighbouring states. A local municipality like body is missing which needs to ensure cleanliness within the villages and public areas. Even though some local NGOs like Ngunu Ziro are working in the areas of sanitation, environmental conservation and recycling- lots still to be done. 2. Hike to various view points like Dolo Mando, Ziro Putu, Dusu Katu and Paku Akhw Putu. How to Reach- Ziro is located at a distance of 167 Km from state capital Itanagar and can be approached by private car rentals, bus or shared taxis (Tata Sumos) from Guwahati, Itanagar, North Lakhimpur. Nearest airport is also at Guwahati. When is the best Time- September is the best time with lush green rice fields. This is also the time for annual Ziro Festival of Music where top music artists from across the country come down to collectively entertain, camp and celebrate. 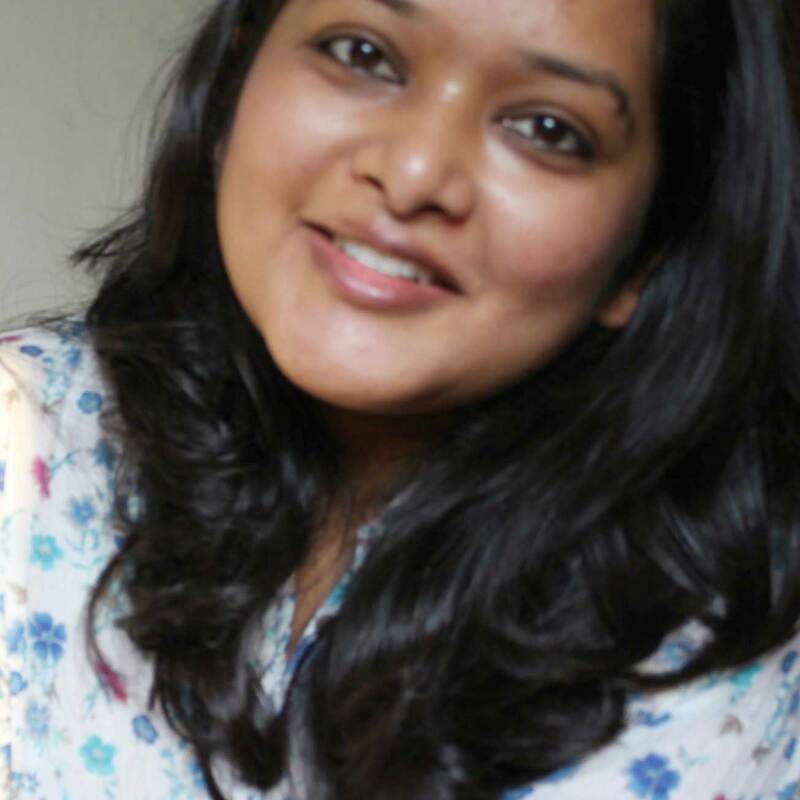 Note: Edited version of this write up have been published in The Better India and DNA Mumbai. 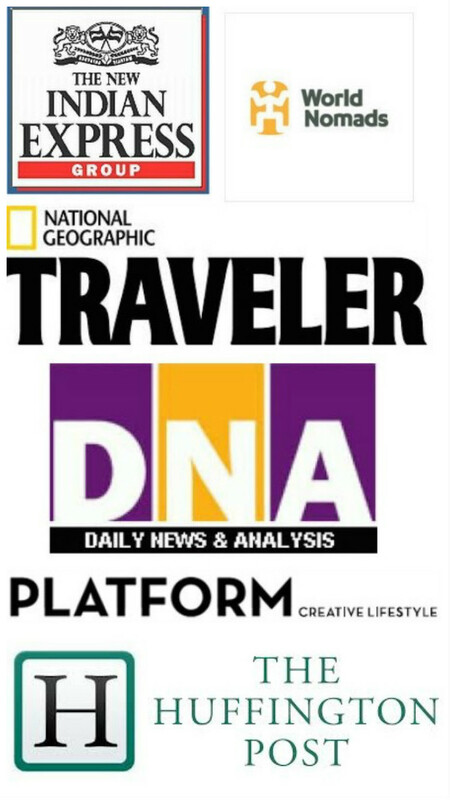 Please click on links to access the articles. Going such long distances without lots to see and photograph, is not what I enjoy. I normally find locations that offer many things - architecture, culture, landscape, cuisine, landmarks, etc. While it may not be my cup of tea (or is it? ), what you have expressed is inviting for any culture-seeking traveller as you have expressed it very well. I like your straight-from-the-heart writing style! This type of cultural experience is exactly what travel should be...I wish more people would experience the world this way! It was truly fascinating to read your post, I really enjoyed it. You have a great way of describing what you experience, giving the reader and insight to your adventures. This tribe sounds really interesting and well of the "beaten path". I noticed that you mention that there are no farm animals or machines used, which I find great! Maybe we could learn more from them. This year I travelled for 1 and a half month around India. One of my favourite areas was the Himachal Pradesh! I've heard that Arunachal Pradesh is one of the least explored parts of India! I would love to add it to my list some day. Is it hard to go there? did you have to cross the boarders of Bangladesh? I've also heard that some parts are closed to tourists, is that any problem?